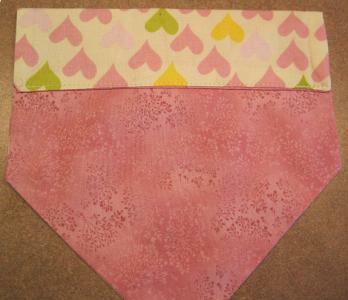 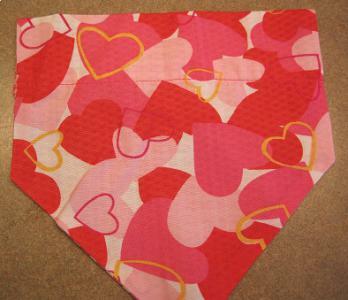 Show the world who your valentine is with these handmade bandannas created with love by a MAESSR volunteer. 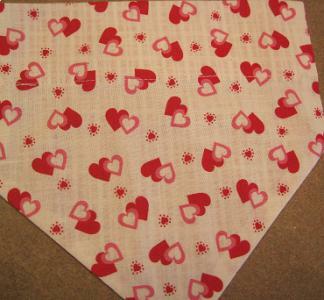 Each bandanna has a coordinating print on the reverse side. 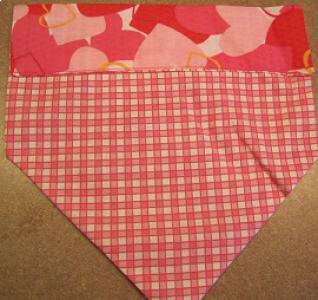 They slip over the collar for secure placement and have a generous 1.25 inch hem, allowing a 1" collar to slide easily into the hem.